Play a Mobile version from Betsoft of Single Deck Blackjack for real money or for free fun. Play with any of our top rated casinos that utilize BetSoft Software. Play Single Deck Blackjack for free. This fun game runs on Flash, and has been provided by a friendly online casino and is the no-money version similar to what you will find at our Sponsor: Bovada Casino. We have done this to show you how easy and fun it is to play Blackjack at an online casino. Feel free to sharpen you skills first and then play for real money. Practice playing BJ with this free "Double Deck" blackjack game for fun. This game has been provided by and is the no-money, free play version of what you will find at our favorite casino online: Bovada Casino. We have done this to show you how easy and fun it is to play Blackjack on the web. Feel free to sharpen you skills first and then play for real money. Play this Free Blackjack Game for fun. It follows European style rules, and has been provided by and is the free play version of the same one that you will find at our favorite online casino: Bovada Casino. We have done this to show you how easy and fun it is to play Casino Games online. Feel free to sharpen your card-playing skills first and then play for real bucks. Blackjack is one of the most popular casino games known around the world, and is one of the only casino games where there is a certain element of skill involved; rather than just pure luck. There is a long history behind blackjack, but we will simply go over it briefly. Over the years, ever since this card game was invented, many other variants have popped up, especially since the internet made it that much simpler to play blackjack. Blackjack is a card game that was derived from Twenty-One, a game that has no known origin. However, Miguel de Cervantes, the Spanish author of old, was the first to write about the existence of 21 in his book Don Quixote (1601). It was during one of his chapters, where a couple of hooligans cheated in a card game, ventiuna, which is Spanish for twenty-one. However, it was played without several cards in the Spanish deck, which include the 8's, 9's, and 10's. It did involve playing against another player, with the goal of trying to get 21 or as close to it as possible. From there, it has popped up in other countries like France, in the 17th century. When twenty-one made its way to the United States, a certain card combination was given as a bonus bet to make players happy. It paid 10-1, and the player would need to get an Ace, along with a Jack of black suit, like a Jack of Spades or Clubs. From there, the name Blackjack stuck and after years of going over and revising the rules, the game that we now know and play came into existence; where a blackjack is now the combination of an Ace and any ten valued card, instead of just a black suited Jack. From there, along with the help of the internet, online blackjack was born and is now easily accessible for any player around the globe. # of Decks: the number of decks can vary, where players can find tables between 1, 2, 4, 6, or up to 8 decks. The house advantage will be different between deck sizes, so make sure to do your research before playing. Soft 17: at any given table, players will likely encounter dealers that Stand or Hit on a Soft 17 hand. This will greatly affect what decisions a player makes during a blackjack hand. Blackjack Payout: there will be tables, and casinos, that will pay a blackjack with either odds of 3-2 or 6-5. Players should try and play at tables that pay 3-2, as this will give them much higher profit, but be sure that the other table rules are favorable as well. Insurance: some tables won't offer insurance when the dealer is showing an Ace. In our opinion, insurance is a suckers bet, where players will either come out even, or lose half their bet. It doesn't really matter that much if a table offers insurance or not when you play online. Late Surrender: players can use this option when they are certain they will lose, where they lose half of their bet to surrender and stop playing; as many believe losing half a bet is better than losing all of it. This option is usually always offered when you play online blackjack, but many players choose to ignore it. Re-Splitting: the number of times a player is allowed to re-split his cards when they are the same value, i.e. 8/8 can be split. This amount will alter the way a player will deal with pairs. Splitting Aces: a very important rule to look for. Casinos usually only allow players to split Aces once, so take advantage of that rule. However, there may be a casino that allows players to split Aces more than once, these are great tables to play at. Doubling: some black-jack games restrict players on what cards they can and cannot double on, as well as whether players can double down after splitting cards. Side Bets: these are side bets other than insurance, which allow them to possibly gain additional money if certain conditions are met. Players will encounter these when they play different 21 games, like War Blackjack. All of these general rules will influence the way a player makes decisions, bets, and even on what the casino advantage is. Pay attention to each rule and game, and be sure to read up on which kind of game will benefit you the most. During any given round of online blackjack, players will be given several different options they can choose from. We would include insurance and surrendering in those options, but we do not believe them to be as important on how to play. These options, combined with a good knowledge of the basic strategy, will make sure players make the correct choices. These options will allow players to make the most out of their blackjack game, which include Hit, Stand, Double, and/or Split, or any combination of them. To take a hit simply means asking the dealer for an additional card. This is done in hopes of getting the players hand to or as close as possible to 21. You place your index/pointer finger on the table, some players like to tap the table once or twice to let the dealer know they are are sure about their decision. When a player has a good enough hand, or does not want to risk busting (going over 21 is an automatic loss), they will choose to Stand; the correct way of saying stop in blackjack. With an open palm, face down hand, you move your hand over your cards from side to side. This will tell the dealer you do not want any more cards. The double down option is where players request only one additional card from the dealer, in exchange the player is allowed to place a bet, equal to their initial bet. By doing this, the player has the chance of doubling their profit based off of a hand that could be great or bad depending on the card dealt. This is a risk for players, as they can either get a favorable or unfavorable card, which will make or break hand. With two fingers, tap on top or right below the two cards that were dealt to you; most players accompany the hand movement with saying "double". The dealer will usually confirm that you want to double down. The Split option is when a player is dealt two cards that are of equal value. For example, if a player is dealt two 8´s or two 3´s. When a player has these two cards, they have the option of splitting the cards into two separate hands. The player will have to place an additional bet equal to their initial bet. In most cases, casinos will allow players to split up to four times per round, allow them to hit, stand, or double down on the newly created hands. The one exception is for Aces, as most online casinos will only allow a player to split Aces once. This is another good chance for a player to double their earnings, as well as split apart a bad hand into possibly two good hands. With two fingers spread apart, point at your two cards; you may leave you fingers on the table, below your cards until the dealer splits the cards. Dealers will also confirm whether you want to split your cards or not, as it is not always a good option to split. Blackjack is an old card game, invented years ago, which now uses standard rules. You can find games with different number of decks, different dealer rules like when to hit or stand, and even certain differences in player rules. The overall basics of blackjack will never change, and you can play the game at any casino around the globe and understand how to play. However, as it is so popular, there are many different variations of blackjack gambling. There are many games that use the "21" concept, and add different rules and options to make the game more challenging and thrilling, or simply different. Here is a list of some of the more popular types of Blackjack games you can find at any of the best casinos. First, read up on the basics, then explore all the different card games of blackjack available. Learn them and then play them at any of the great casinos online! Double Attack Blackjack is a blackjack variation that is offered through several different Las Vegas casinos, including Bally's and El Cortez. Double Attack Blackjack uses eight Spanish decks, which means there are no tens, but face cards are still in the deck. Double down when the dealer is showing a 2 through 8. Don't double down when the dealer has a 9, 10 value card, or an Ace. After making their choice, the rest of the cards will be dealt; two for the player, and one card face-down for the dealer. If the dealer is showing an Ace, insurance is offered; insurance pays 5:2. If they have a blackjack, all players will lose, except for those with a 21, whom will push. Dealer's will stand on 17. Players can double down on any two cards, as well as after hitting and splitting. Splitting is allowed up to four time, with the exception of Aces, which receive only one card. If a player splits and makes a Double Attack bet, they must make one for each hand. Surrender is allowed at any time and will lose half of their bet. Players can surrender on one split hand, while the other remains in play. House edge of Double Attack Blackjack is 0.62%. This variation of blackjack offers some great options when playing, and the house edge is low enough that players can turn a profit if they use basic strategy. Blackjack Plus is dealt with 6 standard blackjack decks. The game is dealt using the European style; where the dealer does not receive their hole (second) card until all players have finished. This means that is a player doubles down or splits, and the dealer ends up with a blackjack, the player will lose all wagers, including their additional ones. The dealer will stand on 17 and will offer insurance when showing an Ace; insurance pays 2:1. Players may double down on two or three card hand. Players may split up to 3 hands, except with Aces. Split Aces will only receive one card, and then the player will automatically stand. After splitting, a player may double down. When a player receives a natural blackjack, they will be paid immediately; as natural blackjacks do not push. The blackjack pays 3:2. During the same round, if a player receives 5 cards from hitting and do not bust, they will automatically win; this is referred to as "Five Card Charlie". The player will win regardless if the dealer gets a blackjack. There is a rule that makes the house edge even greater, making it harder for a player to get advantage. If the dealer gets a 22, then all players that still have cards will Push, with the exception of those players already paid out with Blackjacks or Five Card Charlie. This makes the house edge a total of 5.5%, with an overall house advantage of 4.75%. This is the worse house advantage of any blackjack game type, so it would be wise to avoid. Super Fun 21 is another great variation of the regular blackjack game. It uses the same basic rules that blackjack does, where the player tries to get to 21 or blackjack, and/or beats the dealer. However, there are several differences between the two when it comes to payouts, so you will need to get familiar with both before playing Super Fun 21. There are other basic rules that a player can use, including late surrender, they can split up to 4 times per hand, a player's natural blackjack will beat any dealer hand, and winning automatically by getting 5 cards or more without going over 21. Playing Super Fun 21 is just as easy as regular blackjack, as it follow the same steps, so if you know how to play blackjack you will be able to play Super Fun 21 without any problems. War Blackjack is a simple and very easy blackjack variant. It is a side bet that is placed during a regular blackjack game, so it is more of a side bet rather than an entirely new variation. Players must place a blackjack bet, but the War Blackjack side be is optional. Players that choose not place the War Blackjack bet may want to play at regular blackjack tables, as this variant can be slightly slower. The different rules may also be less favorable. The dealer gives the player one card, and takes one card for themselves; both of these cards are dealt face up. The War Blackjack side bet will be determined by these two cards. Just like in Casino War, the highest card wins. If the player placed the side bet, then the highest between the player and dealer card will win. Aces are considered low in Blackjack War. The card that is given to the player will also be used as the first card of the blackjack hand. The house wins all ties in War Blackjack. This method prevents having to deal out too many cards, which could leave the shoe with fewer cards, and change the outcome of the game. The player that wins the War Blackjack round will have two choices to make with their winnings. The first option is to take your winnings to the bank, as in take it and put it with your chips. The second option is to place your bet on top of the blackjack bet that was placed at the start of the round. Players should bank their winnings if the dealer is showing a 9, 10 or Ace, as there are higher chances the dealer will win the hand. Players should bet their winnings if the total between the dealer's card and their card is 11 or more. One exception is to bet the payout when the dealer is showing a 2 and the player has an 8. After the player makes their choice, the blackjack round will begin as usual, with the dealer giving the player one card; as the card used during the War Blackjack bet is used as the first card of the round. The round will be played out like regular blackjack, with the highest ranking hand, without going over 21, winning. Triple Attack Blackjack is an interesting blackjack variant, where eight Spanish decks are used in the game. This means that there are no 10's in the decks, but there are still Jack's, Queen's, and King's; just like Spanish 21. The player will begin by placing a bet in the First Attack box. The player will then get dealt the first card, after which the player will have the option of placing an equal bet on the Second Attack box. The dealer will then receive one card, face up. The player is now given the option to place another bet on the Third Attack box. A player is allowed to place the bet on the Third Attack box, even if they did not place one on the Second Attack box. The player and dealer will now receive their second card, with the dealer's being face down. If the player gets a natural blackjack, they will be paid 1:1 immediately. They will get paid before the dealer has checked their cards. After blackjacks are paid, and the dealer has checked their cards, the players may start their hands. Player's can choose to hit, stand, double down, or split depending on their hand. If the player doubles or splits their hand, they will have to place an equal bet on all of the Attack wagers they placed. The end of the round will be decided by the highest ranking hand, without going over 21. Insurance pays 2:1 if the dealer has a blackjack, and pays 5:1 if the dealer has a suited blackjack. Player's may double down after hitting and splitting. Player's that split Aces must either Stand or Double Down. If a player receives 6 cards, without busting, they will win immediately. The dealer will hit on Soft 17. The rules and game play of Triple Attack Blackjack is a great combination between Spanish 21 and regular blackjack, and offers players a great experience. Power Blackjack is quite popular and can be found throughout casinos in Las Vegas, as well as in the State of Washington. It can also be found at online casinos, those that are run by WagerWorks. There are differences in the rules that are used by WagerWorks and those used by offline casinos, we will discuss these differences. The one similarity is that it uses six decks. Dealer stands on all 17. Players may double down after splitting. Players can split cards up to four time, excluding the Ace, which can only be split once. If the dealer gets a 22, like in Blackjack Switch, all players that are still in the game will push. These rules are just like blackjack, with the exception of two important rule changes in Power Blackjack, which are Power Double Down and Power Split. When a player is dealt a 10 or 11 hand, they may use the Power Double Down. If the player decides to Power Double, they will double their bet and get dealt an additional card. However, if the player receives an undesirable card, they can get rid of the card and get the next card from the top of the shoe. The card that was discarded is out of play. No matter what the replacement card is, the player is stuck with it. They can't get the discarded card back or get another card. Players cannot Double Down after making a split, but they are allowed to use the regular double down. The best strategy would be for a player to always make a Power Double when they receive a 10 or 11. This will allow the player to exchange the card if they were ever given a non-desirable card and you can replace it if needed. Power Blackjack gives players the opportunity to split the two worst hands that a player can receive when playing blackjack. If a player has a 15 or 16, they can split their hand, regardless of whether they are pairs or not. If a player is dealt a third card, and their hand totals 15 or 16, they may not Power Split. After a player makes a Power Split, they can do a regular double down, but not a Power Double. Players can only Power Split once per hand, but they can use a regular split with paired cards more than once. WagerWorks deals the cards in a European style, where the dealer is only given one card, face up. The dealer will not receive their second card until all of the players have finished playing. This means that if the dealer gets a blackjack, all of the player bets made will lose, unless they have a natural blackjack. Another big rule difference WagerWorks uses is allowing players to Power Double on 9 through 11, this includes soft 19 and 20. This would allow players to change their strategy, and possibly Power Double on more hands than usual. Do you know the blackjack rules for online blackjack and Las Vegas casino blackjack? Once you have read and understood our How To Play guide, you should be able to play confidently all blackjack card game variations. However, the blackjack rules may be different between the casinos, and what you have experienced at one blackjack game may not be the same for the next table you play at. The differences may be minimal, but it is still important to know the differences in blackjack rules as they can change the way the game is played. This will help you avoid making small mistakes and losing money due to not understanding the rules of the games. These are some of the more important blackjack rules, with some common differences you may encounter. When a player has a blackjack, and automatically wins, the most common payout is 3/2. When the dealer has a blackjack, the bet is considered a push. Some casinos do not use the 3/2 odds, but rather use 6/5 odds. Once the dealer has dealt himself his two cards, if the card facing up is a value of Ten or an Ace, they will take a look at the cards to see if they have a blackjack. If they have an Ace showing, they will ask the players if they wish to use Insurance. If they do have a blackjack, the dealer will turn their cards over before the round has started. At some casinos, you may find that the dealer will still take a look at their cards, but they will not turn their cards over until it is their turn to play at the end of the round. This will have players make decisions on their hands, without knowing if there is a blackjack or not. Most dealers will stand when they have a 17 or higher, and will hit on hands with 16 or less. At other casinos, the dealer will also hit on a Soft 17; which will change the strategy players will use, and favors the house slightly. Players can split any two cards of the same value. This will allow them to play two separate hands, where each will be dealt an additional card. Players can continue splitting their hands, as long as the same card is received. The exception is when splitting Aces, as most casinos will not allow you to play on your hands. You will simply receive an extra card and stand on each, regardless of what card you receive; this adds a level of difficulty when splitting aces. When splitting Aces, there are some casinos that will allow you to split again if you are dealt another Ace and even in some cases, will allow you to play on your split Aces. However, depending on the casino, they will limit the amount of times you can split hands. Players can double down on any two card hand. This option is forfeit once the player makes a different decision, so they will need to choose this option before any other. The player will receive only one additional card, where they will stand. Some casinos have limits on what hands a player can double down on. While it is sometimes allowed to double down after splitting cards, some casinos do not allow this. In other instances, players are only allowed to double down on hands that are 9, 10, or 11. Surrendering is not commonly used, but it is still available for players to use. It is when a player receives two cards that make it hard to win with, especially when the dealer is showing a good card. The player can surrender, giving up half of their bet in order to forfeit their hand. This is usually done during the players turn. In some casinos, surrendering is not given as an option. While in others, surrender rules can vary. They can use an early surrender, where the player can surrender before the dealer checks for a blackjack. When playing blackjack, you need to remember the blackjack hand rankings. Blackjack hand rankings are quite simple to learn and understand, as players only need to remember certain card values. 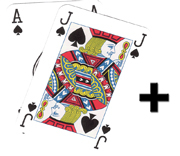 Blackjack uses one - eight, regular 52 card decks of playing cards, which are dealt two to each player. From these decks of cards, players need to be able to do simple math in order to find out what their hand is valued at, and from there be able to use basic strategy in order to win. You will encounter three types of cards: numbered cards, face cards, and the Ace. Each of these cards should be approached differently. Numbered blackjack cards are the simplest to remember; you don't even have to remember their values. These cards will be numbered from 1 to 10, and will have that number printed right on the front. This makes it extremely easy to figure out their value, as they are valued exactly the same as the number. In other words, a 6 is valued at 6 points and a 3 is valued at 3 points, and so on. There is no real need to memorize these rankings, since all you have to do is look at the number. Face cards are those cards that do not have a number on the front, but rather a certain figure. In this case, the face cards are the Jack, Queen, and King. The great part of these cards is that they are all valued the same, so players will not have to memorize anything complicated. The three face cards, Jack, Queen, and King, are valued at 10 points. So any time you get a face card, know that you will already have 10 points in your hand. As there are 4 cards valued at 10 points, these three face cards, and the number 10 card, you will have higher chances of getting a 10 than any other card in the deck. The Ace is the most important card you will find in the entire deck of cards, and as such it has a special type of value. In fact, the Ace can have 2 different values depending on the overall hand value that the player has. There are two situations in which the Ace can change value, and they will both occur during a soft hand. Soft Hand #1: A soft hand is when the player has an Ace combined with a card ranked at a 9 or below. During these hands, the Ace is worth 11 points. For example, an Ace and a 8 will make a total hand value of 9 or 19; most players prefer to stand when their hand is valued at 17 or higher. Soft Hand #2: When a player has a soft hand, and they take an extra card. If the combination of the extra card, with the non-Ace card makes their hand value at 11 or higher, the Ace will lower its value to 1 point. For example, a player has an Ace and a 3, and they take a hit and get a 9, their total hand is now valued at 13 points. Players with a soft hand valued at 16 or less will more than likely take a hit. The best hand, a blackjack, can be achieved when a player gets an Ace and a 10, so always look out for those cards. If a dealer is showing an Ace, they will ask you if you want insurance, but you should never accept as the odds are always against you; essentially it is a sucker bet. Now that you know what each individual card ranking is, all you need to do is combine them to form your two-card hand. Combining the numbered, or even face cards will be an easy task, since all you need to do is add the values. When the Ace is dealt, you will have several different options that you can make, also depending on the card the dealer is showing. All in all, learning the blackjack hand rankings is quite easy, and is the first step you need to learn and understand as you play any blackjack games. Many may not know, but the game of blackjack is more about strategy than it is about luck; unlike the other casino games like poker. Players will realize that when they start playing blackjack, they have to make a lot of decisions that may mean the difference between losing and winning. Blackjack strategy can be split into two groups; basic strategy and card counting. Basic strategy contains all of the options and decisions a player should make in order to keep the house advantage as low as possible. There are basic strategy charts that will tell you what decisions to make based off of every possible situation you might encounter while playing blackjack. Any good blackjack strategy begins with knowing the basic strategy. In order to improve and be able to use more advanced strategies, like card counting, and avoid making simple mistakes it is important to fully understand. Likewise, being able to use the basic strategy will allow you to play all blackjack card games with great odds, and that is enough to show a profit most times. This is the main reason that you first learn the basic strategy until you feel confident enough with it. The blackjack rules that are being used. IF they have the option to split or double. 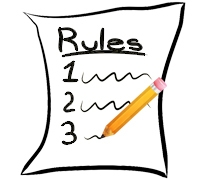 Knowing the rules is very important, as it will let you know what can and cannot be done, especially by the dealer; these rules will let you adapt your strategy. For example, the basic strategy when playing against a dealer that will hit on a Soft 17 will be different when playing against a dealer that will stand on 17. Other factors like the ability to surrender, the number of decks being played with, and others will affect what basic strategy you use. Having to adapt to each situation makes it difficult to recommend a specific basic strategy that will work all the time, as there isn't enough space on this article. The basic strategy is quite complex, but the different versions of the rules will make you change the strategy you use. There are full basic strategy charts that are available at the casinos, who allow players to use basic strategy when they play; there is one below. There are also many great blackjack books, as well as gambling websites. When considering the strategy to use, you must always remember the hand rankings. Each card will have different values, especially when you have an Ace and a soft hand. Not only do you have to consider what hand you have, but also the potential hand that the blackjack dealer has. 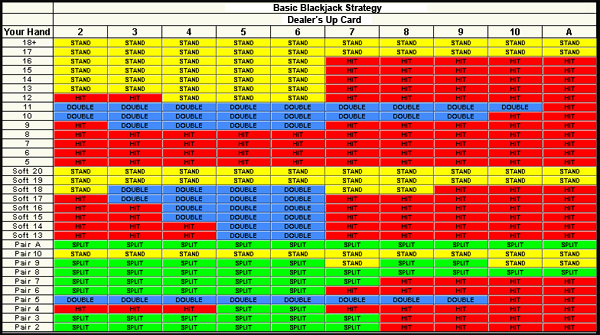 This is your first step towards using and understanding blackjack basic strategy. On the other hand, there is a simpler strategy that can help you out when playing online and Las Vegas casino games. It will be easy to understand and remember, but won't give you the high odds a more detailed chart will give you. All you need to do is follow the suggested strategy when you are presented with these certain situations. Double down when you have a 10 or 11 and the dealer's up card is valued less than your hand. Double down when you have a 9 and the dealer's up card is a 3,4,5, or 6. If you cannot double down, simply hit. Any other hands of 11 or below, hit. Hard hands of 17 through 21, always stand. With hard hands of 12 through 16, stand if the dealer's up card is 6 or less. Hit when the dealer's up card is a 7 or higher. Many players may take the risk of standing on hands 14 through 16, regardless of what the dealer has. Soft hands of 15 or less, always hit. Soft hands of 19 or more, always stand. Soft hands of 16 through 18, hit when the dealer's up card is a 7 or more, and double down when the dealer's up card is a 6 or less. Always split 8's and Aces. Never split 4's, 5's, or 10's. All other pairs, split if the dealer's up card is a 6 or less, but play the hand by the above rules based on your hand value. NEVER take insurance on blackjacks - this is a sucker bet for any blackjack strategy player. That is it! Eleven easy rules that you can follow that will let you play blackjack with higher odds of winning. This is a great strategy for those wanting to learn to play blackjack, without needing to memorize the more complex strategy. This will help any player to learn the system and reduce the mistakes they make while playing blackjack. Many blackjack players are not happy with simply lowering the house edge. They would rather try to turn the house edge into their own advantage, and this can be accomplished by card counting. Card counting works by keeping track of what cards have been dealt from the shoe. As there is a limited amount of cards, it is often that the remaining cards may not be in random placement. A simple example would be if there are 6 decks, and there have been 13 Ten's dealt, which means that are 83 Ten's still remaining. The same can be said about the other cards. This demands a high amount of mathematical skill and memorization, making it quite complicated for anyone to use. Just like there are good strategies, there are also bad strategies. You may encounter other players at the blackjack table giving you "advice", which in most cases may be bad. Most players seem like they have good intentions, but may not have good enough knowledge of playing blackjack. They may tell you to split 10's, since the dealer is showing a 5; however, there are always odds that the cards you are dealt will be worse. It is always better to make a steady profit, than try to "win big and fast", as that is the quickest way to lose your money. This is why it is important to stick to the basic blackjack strategy above, as it will increase your odds of winning, as well as lower the house edge against you. Simply enjoy your experience, while remembering to use the basic strategies you now know. Just like in any game, there will always be some very talented people. Over time, these talented blackjack players have become famous for their talents, exploits, and how they played within the casino. They have contributed much, as we would not know as much about playing blackjack, in practice and theory if they had not been around. This would include basic strategy, card counting, and other blackjack advantages. The following is a short list of some of the most influential and famous blackjack players known presently. Thorp is famous for introducing and using the theories of card counting, where he authored the book, Beat the Dealer in 1962. The book is shows readers how card counting is used to beat the house advantage in blackjack. He used computers to improve his strategies, where he proceeded to test his theories. When casinos used to shuffle the blackjack decks near the end of the shoe, Thorp was able to make big profits, but was banned from a lot of Las Vegas casinos. The movie 21, starring Kevin Spacey, uses some of his exploits, as well as Ben Mezrich's book, Bringing Down the House. Blackjack is not the only aspect that made Thorp famous and a genius. He was also involved in advantage plays in other casino games, like the roulette wheel. He didn't stay in gambling much longer, as he proved to be quite good at predicting the stock market and becoming successful at hedge funds; he is currently worth $800 million dollars. Uston, another fellow mathematician, found himself drawn to blackjack. He was born as Kenneth Senzo Usui in New York City, where he studied and became a VP in the Pacific Stock Exchange. He later went on to read Thorps, Beat the Dealer, and he started to spend more and more time in casinos. He became a world renown blackjack player by 1979, where he was banned from playing in casinos around the world. This did not stop him, as he was able to disguise himself and continue counting cards. He won a lawsuit he filed against Atlantic City, as the state of New Jersey determined that the casinos could not ban someone for card counting. Uston was always fascinated by numbers and statistics, which is what had drawn him into blackjack in the first place. However, he was also very interested in video games, like PAC-Man, Pong, and Breakout. He even went on to write the book Mastering PAC-MAN, a guide to playing the game like an expert. Regrettably, Uton passed away in 1987, but we will always have his knowledge on blackjack. Stanford Wong is actually the pen name of John Ferguson, who is a famous author and blackjack player. He has written a total of 15 books, with his most notorious and popular book, Professional Blackjack; the first in his long career. When Wong played blackjack at a casino table, he would usually sit out and wait until the shoe and count turned into the player's favor; usually referred to as "Wonging". Wong led a relatively quiet life, writing his books not only about blackjack, but of other topics like craps and sports gambling. He managed to give beginners and average players great insight into the world of gambling, and probably helped more than one player get good at beating the house in blackjack. Hi-Lo Count is one of the most common strategies used in blackjack by amateur and professional players alike. The Hi-Lo was first written about by Harvey Dubner in 1963, and talked about by other famous blackjack players like Stanford Wong. It is slightly more complex and strong system than the Ace-Five system, and likewise, it is easier to detect, as you will be altering the way you play. Start with your zero count at the start of each shoe or deck. As each card is dealt, keep a running count of the cards by adding or subtracting using the table above. Example: if the first 10 cards dealt from the shoe are: 2, 4, Jack, 8, King, 6, 9, 4, 5, 3, and the count would be: 1 +1 -1 +0 -1 +1 +0 +1 +1 +1 = +3. In order to get the True Count, players have to divide the running count by the number of decks remaining. This may take some practice for amateur counters, but there is no need to be exact; using an estimate can work. The more you play blackjack, the more practice you will get and the easier it will be to make this adjustment. In most cases, the correct decision is obvious. In extreme cases will you need to make this True Count conversion. Example: with a running count of +9, and an estimated 3 decks left, the true count would be: 9/3 = 3.00. You can round the number up or down to keep things simple. As the true count gets bigger, the more a player should bet. However, we won't give you set rules on how much to raise your bet each time, since most of these rules were written in blackjack books. Using certain patterns, like the ones set in books, can give casinos an easy way to spot card counters. In order to avoid being detected, players should use a Bet Spread, where there is a limit on the ratio between the maximum and minimum bet. Also, to increase bets after a win, lowering bets after a loss, and remaining the same after a push, can help make a player look more natural. This may cost you some profit, but will help avoid calling attention. Example: a ratio for raising/lowering the bet of 2:1, with the table minimum being $10, and after 5 wins, 3 losses, and 2 pushes, your bet should be at $40. You can pick whatever ratio you want, as long as it remains between the max and min limit you set. An additional component of the Hi-Lo system is to use Index Numbers; where you would have been playing with the True Count and basic strategy. These numbers are a specific guide for making decisions like Hit, Double, Split, Stand, or take Insurance, and allows players to alter their play slightly in order to get more profit. Example: the Index Number, where the player has a 15 and the dealer has a 4, is a +4. This means that the player should Stand if the true count is +4 or higher; if it is lower, Hit. This would trump regular basic strategy, as it takes into account the number of favorable cards left in the shoe. There are many different indexes that can be used, like the Illustrious 18 and Fab 4. For the following index table we are using the following rules: Stand on Soft-17, Double after Split, and Late Surrender, as well as a six-deck shoe. There are many other index tables where they will tell the player when to double down, split, or even surrender based off of the true count and the specific cards the player and dealer have. If you do not find a hand with an index number, this means you should stick to the basic strategy on what decision to make. Spread: This is the ratio of the players minimum bet to maximum bet. When the ratio is bigger, the better the players advantage will be, however, a large spread can also be a red flag. When playing in a standard six deck game, a 1 to 15 spread is the most aggressive a player should get. Penetration: How many decks played before getting reshuffled. Usually in a six deck shoe, 4.5 is standard. Player Advantage: This is the ratio of net player wins to total bets. Remember to be cautious about your bet spread, as that could alert the casino to your card counting. Keep it simple as you play a blackjack game and you will find your way to a steady profit. Blackjack is a very popular table game, and as such, there will be countless different blackjack sites that you can join and play at. Most of the time you will find these at different online casinos throughout the internet, all you have to do is pick the one you are most comfortable with. This is why we have comprehensive reviews for each of the blackjack sites that we recommend. This way, you get the most out of knowing what each casino has to offer, making your decision much easier and painless. Having all of the information at your finger tips is important when picking the best online casino for you. Being able to pick which sites offer players more kinds of mobile blackjack games, or has the easiest depositing and withdrawing methods, or even the one that has the best customer service. It is ultimately the players decision to pick the casino that best suits their needs and wants. There are several different factors that can help you decide: overall site, games offered, bonuses, banking options, and customer service. This will let you have the summary of the benefits each site offers, as well as giving you an overall view of what to expect when visiting and playing at each site. If you think that there is only one type of blackjack you would be wrong. There are multiple forms and variations of this great card game, and casinos will offer more than just one version. It is a great opportunity to check out other than regular blackjack, and see which games are fun to play. All casinos offer a different range of bonuses to players. These bonuses can include free cash to bet with, as well as other great perks. Players can use the bonuses to their advantage, but need to make sure to read the small print in order to understand how they work. This is an added perk, so don't decide on a casino solely on the bonuses. When dealing with money, it is always best to use methods that you are familiar with, or that you find easier and less complicated. Some casinos may offer certain banking methods that will make your life easier when depositing or withdrawing funds. Most of the time, credit and debit cards are available, but there are also other less conventional methods like e-wallets and bank wires. This can be a big factor for many players, especially since there is no site that is 100% perfect. It is always best to know that you can talk to a person and get the help you need in a timely manner. Remember, pick based on what you perceive as being important, and you will always be able to have a good time as you play blackjack. The Bovada online casino is owned and operated by the Bodog Group. Bovada makes their services and games available to the players in the United States, while Bodog caters to those outside the US. They were first established in 2011, and have continued to offer their great site, bonuses, and many other features. The Bovada casino website is organized and modern, as they like to keep their pages limited to the necessary information. It is very easy to navigate and find exactly what you want. Players can easily access their accounts, as well as pick between downloading the casino software, or simply using the web browser to instantly play. They have also adapted their site for mobile devices, allowing players easy access to play two variation of blackjack; 21 Blackjack and Zappit Blackjack. Bovada does a good job at offering its players, new as well as loyal, with some great bonuses. Bovada has just a few banking options available, but these options are some of the most used and popular methods. Make sure that these are your preferred methods, or contact their customer service department to seek other options. The customer service at Bovada has a reputation of being fast, where they boast answering most inquiries within 4 hours. They also have 24/7 service, so you can call, email, or fill out their contact form at any time throughout the day. FAQ General and specific information regarding the Casino, Games, and Financials. The Blackjack Ballroom casino was first established in 2000, as one of the first of its kind. It is owned and operated by the Casino Reward Group, whom have a long standing reputation and experience in the online casino business. Regrettably they do not allow US players to become members, but they do offer their services to those living outside the United States. Their website is primarily used as a portal where their current memebers, as well as new players can get basic information about their services and bonuses, as well as for downloading the software necessary to play the 21 and casino games offered by the Blackjack Ballroom Casino. Sadly, for those players that wanted to be able to play instantly from their web browser won't be able to, as they only offer their download version. This shouldn't deter anyone from playing, as it is a great piece of software and will meet all of your needs. Blackjack Ballroom really only has one bonus that they offer new players, their welcome bonus. This actually lets them focus on giving better odds and games, rather than on free cash bonuses. Blackjack Ballroom offers a large variety and quantity of banking options that should satisfy any player needs. The Blackjack Ballroom customer support is always available 24 hours, 7 days a week through their phone or live chat. For those that cannot use either of those methods, they also have a quick response rate on emails. They were first established in 2008, where they are still accepting US players. They are focused only on being a casino, where no other services like sports betting are involved. They take pride in offering a well-developed website, as well as a great customer service. Their website is well organized, but may have some clutter with the amount of updates and promotions; which have taken the majority of their home page. On top of it all, they actually have a blog where players can get the latest news and interesting topics. All of their games are available to be played through the web browser, but for those that prefer to play from their computer can download their software. Silver Oak Casino has some big bonuses available for new players, as well as member promotions. Silver Oak Casino offers players the most commonly used banking methods. The Silver Oak Casino prides itself on its top notch customer service. Just as a word of caution when playing at Silver Oak Casino: this casino has been blacklisted for having a slow payout. Taking part of the older generation of online casinos, Las Vegas USA was established in 1999; right when the internet boom was happening. They are operated by the Mainstreet Vegas Group, and are openly available to players from the United States. They offer a wide variety of casino games, along with eight different casino card games to choose from. The website does seem to be outdated, compared to all the newer generation online casinos. However, the site is simple enough to navigate and find exactly what you want to play. As such, they have always offered their software download, so that players can play directly from their computer. However, as technology has advanced, they have made their casino games available online through any web browser, as well as through any mobile device. Las Vegas USA Casino has a large variety of new player bonuses, while also compensating their loyal players. These are just some of the bonuses and promotions that are offered, as they have many others that will give players free cash to bet with. Las Vegas USA Casino does not offer as many options as other online casinos, but they still offer the most popular and secure methods. The Las Vegas USA Casino has to very convenient methods that players can contact customer support. We teach you tips for playing Vegas casino and online blackjack games. The gambling advice consists of 'twenty-one' card gaming strategies, game rules and card counting techniques so that you can win real money playing the card game of blackjack either at online casinos or at Las Vegas tables. Also we offer entertaining fun play for free. We have offered card players our experience, casino gambling knowledge, and "21" gambling tips since 1999. And we offer you a link section to sites with other popular casino games. BlackJack is an extremely popular card game ever since it was invented. Why? Because this popular game of chance and skill allows the player to use strategy, analysis, secret ways to count cards and gain an advantage over the house, and also enjoy a little bit of luck. In the end, after enjoying our website, you will be able to place bets on cards with confidence and take home cash winnings and beat the dealer. This site is full of solid info designed for visitors of all skill levels, is easy to read and has multiple charts and tables, and is a great source of practical, money-making tips on everything related to winning at casinos and gambling sites, Las Vegas, or just to play online blackjack for fun or amusement. We will teach you different way to evaluate your hand, decide when to buy insurance, when to hit, hold, and split your cards so that you do not go bust. We also have lessons on how to evaluate Aces, and chip stack management techniques to how best to manage your chips and place progessive bets following specific blackjack betting systems, as well as understand the game variations, and we also review the top blackjack sites with in-depth site reviews. Our Las Vegas Blackjack Guide will tell you the best casinos in Vegas for playing "black jack", find single deck and 2 deck games and detail the cardgames house rules in each location and list the top payouts and winning percentages. Our BJ gaming guide also analyzes the single deck, double deck, shoe, and video machines available for gaming at Northern Strip, Central, South, and Downtown casinos in detail. And finally, our blog has the latest BJ news. Play our Free Blackjack Game and improve your skills. It is no-download and can be played on Win or Mac computers & Apple & Android mobile devices.